Thanks to Relic and Sega, you can get your boxed copy of Dawn of War on Steam without spending a dime. 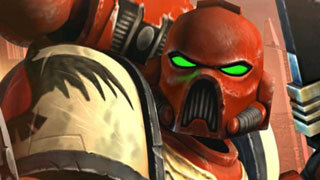 "Do you own boxed copies of Dawn of War, but don't own the game on Steam? We are supplying owners of boxed copies with free Steam keys so you can continue to enjoy Dawn of War without having to pay again." All you need to do to take advantage of this offer is head over to Sega's support site and open a ticket. It's worth noting that you may have to verify that you own a boxed copy, and that could mean sending in a photo of your game box, or providing other information. Still, it's a great way to relegate that boxed copy of Dawn of War to the closet without losing access to a great RTS. It's also a great way to warm up for the release of Dawn of War III in 2017.